After college graduation and/or completion of a F-1 or J-1 program, many foreign citizens want to continue to reside and work in this country. One potential solution is to obtain H-1B status, which allows the foreign citizen the ability to continue to live and work in the United States for up to a total of 6 years. H1-B visas are a way for businesses located in the United States to obtain needed talent to fill job positions, due to a shortage of available United States workers to fill the job vacancy. Many (but not all) of these foreign workers in the science, technology, engineering, and mathematics fields; H1-Bs are not limited to STEM fields and can apply to a variety of disciplines. The H-1B petitioner must establish that: the employment position is a "specialty occupation", which means that the entry level educational requirement is at least a bachelor degree in related fields; the foreign citizen worker qualifies as a professional; and that Labor Condition Application (LCA) is certified by the United States Department of Labor. However, there are instances where the foreign citizen, who does not have an advanced degree, may substitute work experience to compensate for the missing educational requirement. When it comes to lawfully hiring foreign citizens to work in the United States, the US federal government has a clear policy directive to attempt to protect United States workers from foreign competition. Employers are never allowed to undercut the job market with labor willing to work for less than a US worker, and must pay the foreign citizen the higher of the actual (the wage paid to other workers in similar positions) or the prevailing wage (the average salary for workers in the relevant area of employment. The wage information is often obtained through a State economic agency where the prospective employment is located if the H1-B is approved). The employer of the foreign worker, in addition to paying the higher of the actual or prevailing wage, must attest on the Labor Condition Application that the employment of the H1-B worker at issue will not negatively affect the working conditions and wages of similarly employed United States workers AND the employer must even notify existing workers with notice of the employer's intention to hire an H1-B worker. The foreign citizen's H1-B petition is submitted to United States Citizenship and Immigration Services (USCIS), which is the government agency in charge of reviewing, processing, and adjudicating H1-B petitions. There are limitations under United States law as to the number of H1-Bs allowable each year (an "H1-B cap"), which is often reached within days after the beginning of the petition submission period. Therefore, it is very critical that the H1-B petition is filed early enough to give the foreign citizen a chance to obtain an H1-B visa before the slots are filled by other foreign citizens. Recently, the number of H1-B petitions submitted to fill job positions greatly exceeds the number of allowable H1-B visas under the "H1-B cap". In these instances a "H1-B lottery" is implemented to determine which applications will be processed, and which ones will be rejected. One caveat is that H1-B visas for for foreign citizens at research institutes, hospitals, educational facilities, and non-profit organizations are often exempt from the H1-B cap requirements, which allows employers to petition the prospective employee at any time during the year. There are potentially thousands of dollars in governmental filing fees for H1-B applications, in addition to the necessary cost of the immigration lawyer handling the case (the government filing fee is returned if the applicant is rejected; the attorney fee is not returned). In most instances the employer of the foreign citizen is required to fully pay these governmental filing fees, however in some circumstances the prospective foreign citizen employee can contribute some part of the fee. The H1-B visa holder is permitted to have dual intent, meaning that the foreign citizen worker can intend to remain in the United States for either a temporary or permanent length of time. Many foreign citizens who receive an H1-B visa eventually apply to adjust their status to obtain a green card (Lawful Permanent Residency), provided that a US employer is willing to file an employment based green card application to sponsor the foreign worker who desires to obtain Lawful Permanent Residency. 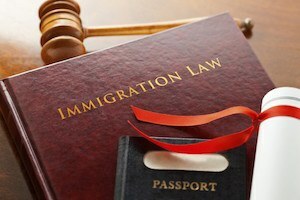 A competent and talented H1-B immigration lawyer, such as Sufen Hilf, to is recommended handle any and all H1-B petitions for a variety of reasons: first, Immigration laws are constantly subject to change, and you need someone who is up to date on changes in law and policy; second, there are a number of situations that are more heavily scrutinized (for example: third party placement; positions at lower wage levels; H1-B visa transfers; positions that have low qualification or skill requirements; students on F-1 visas and OPT seeking a H1-B visa; etc.) which should be handled by a lawyer; third, there are many technical components to filing the H1-B petition, such as correctly completing and filing the petition, accurately providing prevailing wage information, responding to a Request for Evidence, etc. that also require a competent immigration lawyer's representation; fourth, having someone to answer questions and provide information concerning the file is an important and stress reducing part of the process. For any immigration related issues you should immediately contact Hilf & Hilf, PLC for excellent legal representation.